What does 2016 hold for English Wine? Bubbles, bubbles, bubbles. This year sparkling wine is predicted to remain a smash hit. Recent years have shown UK consumers switching from still to sparkling wines with recorded increased sales of prosecco and champagne. Sparkling wine is no longer reserved for special occasions but has become a staple for evenings in with friends and a great accompaniment to food. This year, predictions suggest that the coming 12 months are all about the English sparkling wine scene. We might be biased, but we think that English sparkling wines could outclass French champagne within two years. Having had good seasons in the UK for several years, the quality of wine produced has come on leaps and bounds with domestic labels, grown on our own soil, winning a range of accolades and awards. The English cuvee is found to be as flavoursome as champagne but at a fraction of the price. With dry and subtle flavours, similar to those of a good champagne, our own English sparkling wine, the Three Choirs Classic Cuvee, is a traditionally-made sparkling wine of the highest quality. Forget the champagne for 2016, our sights are set on English fizz! It’s not just the bubbles that are looking attractive in English wines. English rosé appears to be ploughing ahead as a natural choice for a summer wine. Chilled and aromatic with summer fruits and citrus twists, the versatility of rosé makes it a delightful go-to summer drink which we’re sure to enjoy on warmer evenings this year. 2016 for white wines suggests consumers are looking to be more adventurous. A culture of taste-testing is emerging in the white wine scene which involves stepping out of the ordinary and into the unknown. It is expected that a high percentage of younger white wine drinkers are likely to purchase more unfamiliar brands from less traditional wine regions. With this taste-testing culture emerging, it is predicted that restaurants may see an increase in the number of wines being bought by the glass rather than the bottle, allowing the consumer to experiment with new flavours. 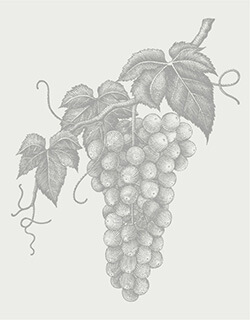 The fall of traditionals, such as chardonnay and pinot grigio, will help to put English whites back on the wine list.The increase in average UK temperatures has meant that much of the South of the UK is well suited for the temperature-sensitive world of viniculture leading to recent bumper harvests of fine white grapes which are full of interesting flavours. In search of something new, interesting, tasty and good value, UK consumers are more likely to shop ‘local’ in 2016. With a high focus on ‘clean eating’, 2016 will see a high demand for fresh and natural tasting wines such as our Three Choirs Coldridge Hill, which is distinctively English hedgerow. Red wine this year is expected to see a shift from full, ripe and high alcohol content reds to fresher, light to medium bodied fruity reds. We also expect to see an increase in the purchase of natural wines. Wines which have less additives and less alcohol are expected to hit the shelves hard this year, being lighter in body, more vibrant and more approachable for the first-time red wine drinker.